Every time I would look up A Most Violent Year on IMDB I would see A Most Wanted Man right below it. Now, I seem to be in the minority of people who thought that AMWM was a phenomenal film. Not that critics or audiences hated it, but apparently I loved it more than most. But it hasn’t gotten buzz, won’t be up for many Oscars, isn’t on many lists, and so for that I feel a little bitter. That bitterness was always directed toward AMVY, a movie that is getting so much more attention and, in my mind, undeservedly so. Well, it looks like I’ll have to blame something else for the lack of attention toward a movie I thought was 5-star, because it turns out the film I was angry at for no reason is almost just as good. The year is 1981, the place New York City. Abel Morales is the owner of an up-and-coming fuel oil business, the son of immigrants who has seized the American Dream by the neck and refuses to let it go. His business is booming and he’s about to become legitimately large, but the violence engulfing the city isn’t sparing the oil-sales world. His competition is stiff, connected, and more like the mob than a fair industry. His trucks are being hijacked right & left, the Feds are creeping up with imagined charges, and the biggest deal of his career is about to go down in flames. But Abel refuses to become sucked into the underground that controls so much of the business around him, refuses to become violent in response to violence, and won’t give up on making it big no matter what it takes. This film comes off as a major risk miraculously pulled off. It’s a crime/action/thriller without the crime, action, or thrill. Not that it’s boring, not at all, but it takes out the more violent elements of a gangster film, putting its foot down when it comes to cheap blood. It’s like the filmmakers knew what we wanted from this genre, decided not to give it to us, and focused on the actual drama of the situation instead. It could have been colossally boring, but somehow it was great. It’s proof that good cinema is in the acting and the story, not in the standard throwaway excitement. 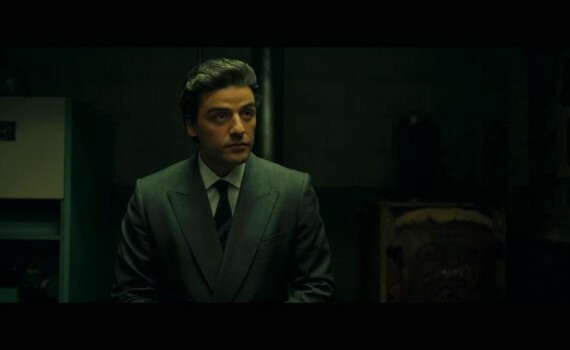 Credit Oscar Isaac with pulling this off, as the movie was laid heavily in his shoulders, with so many dark, cold, slow moments where only he could carry the plot. Jessica Chastain could have been replaced with almost anyone in this role and shouldn’t get a lot of praise for playing a one-note character, although I’m sure she’ll get some undeserved attention. It’s Isaac who should be considered for awards this season, right up there with the greats of the year, for his ability to single-handedly take this gutsy film to the top.